We are always looking for better people to work with ! So here is BIG news – We are hiring INTERNS!! You could be a student(12th pass atleast), a housewife, a fresher or whoever. 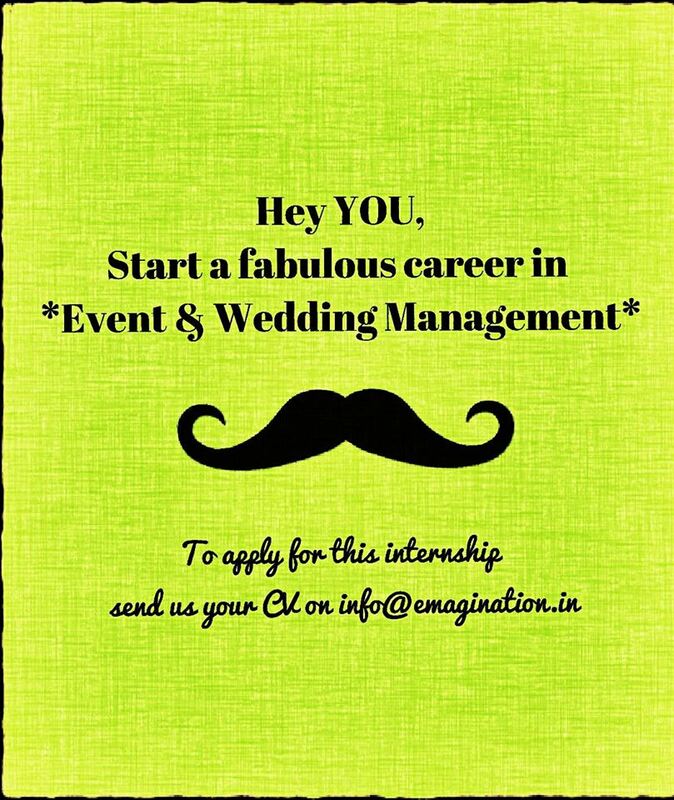 All you have to be is – Ready to kick start a fantastic career with us in – Brand communications, Online marketing, events & Wedding management. 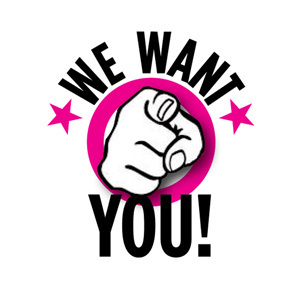 We want Pune based, Smart, well spoken, Creative, laptop & cell phone owning, ready to learn, hardworking people. An events & wedding management/Mass communication/arts/marketing background or great following on Instagram or Twitter will be a plus! You think you’ve got what it takes to come on board?? before applying just spend a few minutes to understand what we do through our website & our Facebook page. Pls note any application sent without any of the above details will not be considered for selection, hence pls send a complete application including every item mentioned above. Well since we are getting bigger and there is nothing that we are not looking for :p.
We are a greedy bunch when it comes to talent!! If you can provide us a service as a vendor from any of the services we have on our page, that can be a value add for our enterprise, pls feel free to give us a shout on the above mail id with a subject line – Vendor registration’14. Can’t seem to reach you on the mentioned mail id!! Could you provide an alternative?